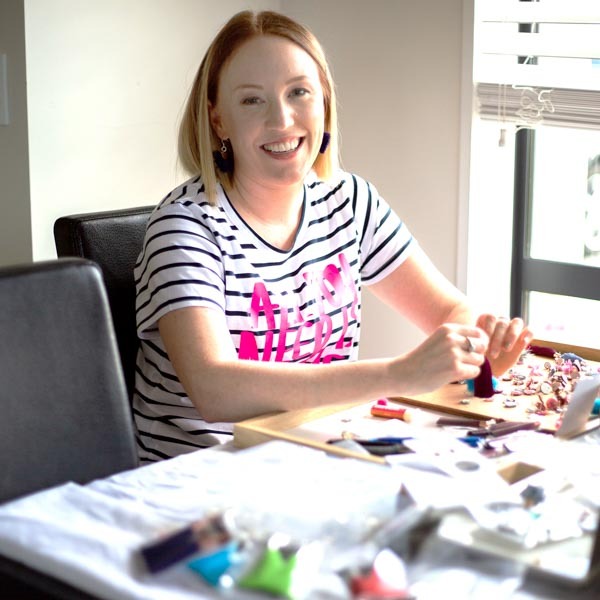 Christchurch brightened up when renaissance woman Kirsten Smart added The Jewellery Bar to her portfolio of roles as mum, 111 call dispatcher and ambulance officer at St John. The Jewellery Bar specialises in tassel jewellery, with 20 different styles of earrings, necklaces, plus bespoke styles available online and from eight retail outlets from Whakatane to Geraldine. Colour and texture are Kirsten’s passions and she says a fabulous pair of earrings “brings colour to an outfit and finishes a look to perfection”. Where black, navy and neutral are a signature wardrobe palette, Kirsten’s earrings are a gorgeous way to make a classic outfit pop, or as a gateway to incorporating more colour into the wardrobe. Kirsten designs and creates the jewellery using materials such as leather and a range of acrylics. The earrings are all hypo-allergenic – finished with sterling silver. Her ideas come from interactions of colours and textures she sees around her and design talent is in the genes with Kirsten’s late mother being a watercolourist and a craft aficionado. Kirsten has always wanted her own business, and her original career in banking is standing her in good stead. ‘Giving back’ is key to the business ethos, so every pair of earrings sold will generate a donation to a local charity to buy Christmas presents for less fortunate families. The colour range is huge, and takes in seasonal trends, with earrings priced at $39 and necklaces from $40-$70. Follow Kirsten’s rainbow on Instagram and Facebook, and purchase online at www.thejewellerybar.co.nz.